Despite growing up in a world where benign and obliging AI is ingrained in everyday life, young people still recognise the rivalry the technology poses when it comes to getting a job. According to new research, most student believe that robots will have an advantage in the workplace with fewer jobs around when they come to showcase their skills to prospective employers. The concern has prompted Young Enterprise , which conducted the research, to call for a change of tack in education policy, with a greater emphasis on workplace acumen and “soft skills”. These include human qualities such as confidence, communication, resilience and adaptability, giving students not only the equipment to deal with a world of work. These qualities also play into the arena of self-employment where young people feel increasingly comfortable. The accessible of worldwide marketing and business tools, through social media and the web, are giving students the aspiration that has a realistic foundation of scale and opportunity. However, Young Enterprise says, this drive needs to be coupled with greater engagement from employers in schools so students have a well-rounded and practical financial and entrepreneurial education. Young Enterprise supporter Delta Air Lines backed the call. 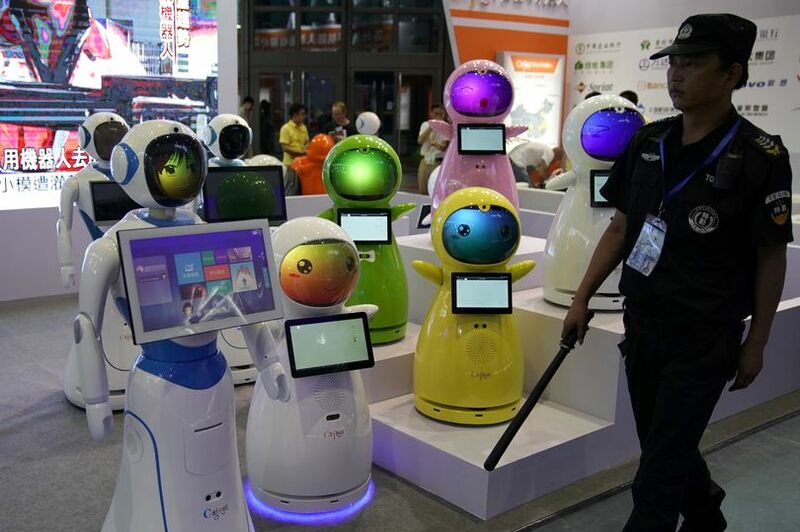 According to YE’s report Robot Revolution, 76% of 200 finalists from its flagship Company Programme believed fewer jobs would be available due to the use of robots in the workplace. Their concerns have strong grounds. Consultant PwC reported that around a third of UK jobs were susceptible to automation from robots and AI by the early 2030s. While the Reform think tank said 250,000 admin jobs could be lost from the public sector because of AI and robots, the technology’s potential goes far beyond routine and repetitive tasks. Bloomberg recently produced a league table of professions according to immunity from AI. Doctors came near the top. Yet even fields where human wisdom dominates are no longer safe. Brett Kuprel, a 26-year-old electrical engineering student from Stanford with no medical background, uploaded Google images of cancerous moles, devised a phone-based mole-checking algorithm and immediately presented a challenge to thousands of dermatologists’ jobs. Big data, with the right mining tools, has the ability to surpass human wisdom in fields as nuanced as law where the sheer weight of new data and the reliance on precedent make the field ripe for analytics. Already firms that blend law and analysis are trying to synthesise the legal canon offering, for example, services that identify judges sympathetic to a particular cause based on writings and rulings. Meanwhile the Press Association has been awarded £620,000 by Google to develop a robot reporting project which will see computers write 30,000 stories a month for local media. Creative thinking is the last sanctuary of human endeavour safe from the reach of early AI technology but, as Radar has shown, humans will increasingly absorb the emerging technology before, perhaps, surrendering completely. One of the sponsors of the Young Enterprise Awards is Disney, where digital and imagination are brought together. Jeff Archambault, of Walt Disney, said: “Creativity will always require a human that, in combination with state-of-the-art technology, can deliver new, unexpected experiences.